I got my start in sports with soccer when I was 5 years old, and I've been a team player ever since. I've also been a pickleball champion, an inflatable kayak enthusiast, and I rock the bunny slope on my snowboard (well, at least I don't fall down much anymore). 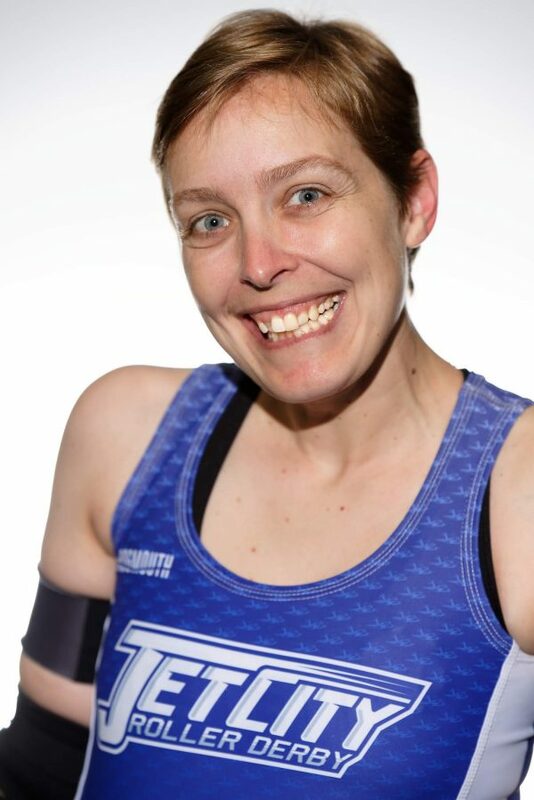 2012: TEAM-Rookie of the Year, MVP Jammer Season 10 Bout 3 and Januarys 2017 Derby Girl of the Month.